San Francisco’s outer, lower-density neighborhoods have opportunities for new growth and increased densification, in the form of adding affordable housing to the city’s western reaches. 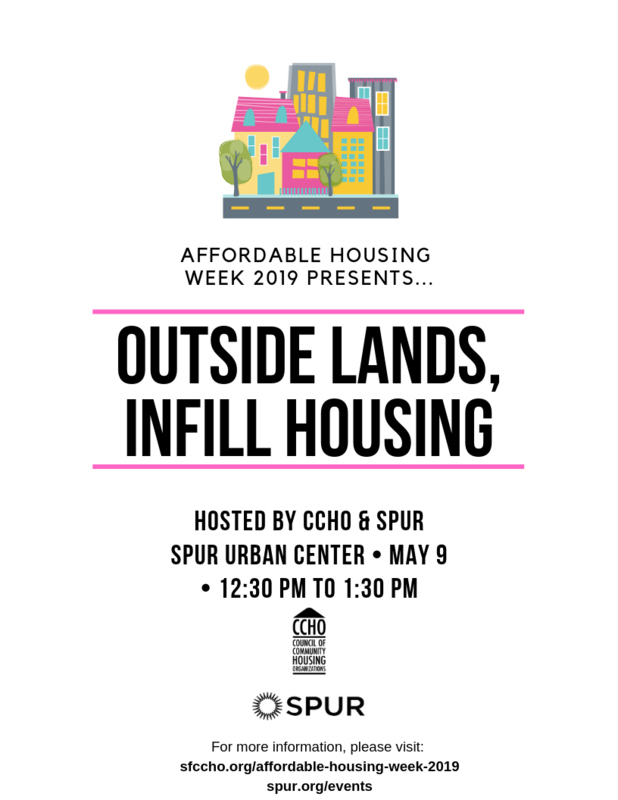 Join SPUR and the Council of Community Housing Organizations (CCHO) for a discussion about strategies to open up pathways for affordable housing in these neighborhoods. Speakers with on-the-ground experiences in development and organizing will shed light on the ways we can successfully bring infill housing to the city's outside lands. Co-presented by CCHO as part of this year's San Francisco Affordable Housing Week.